"No matter who you are or where you are in life's journey, you are welcome here at Bem." Welcome! We hope these pages offer a hint of who we are and provide you an invitation to join us in worship, praise, and service of God. 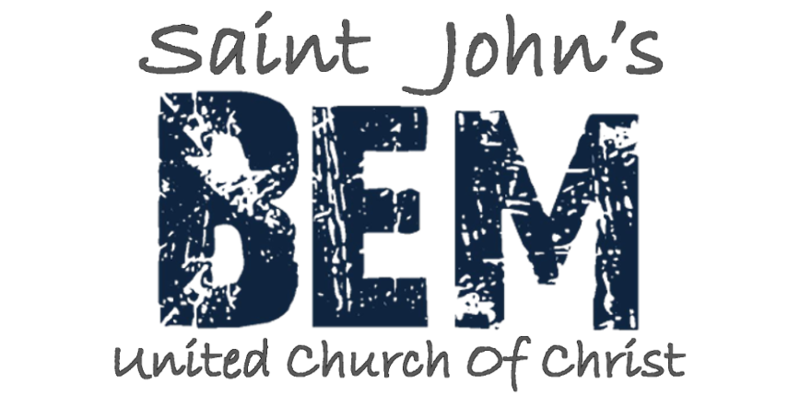 "Bem Church" (St. John's) is truly a family of faith with members of all ages. Our worship is a Spirit-filled celebration combining traditional and contemporary aspects. Mission outreach applies to both local and global settings, including construction of the Bishop Samuel Ruiz multi-purpose facility in Chiapas, Mexico and our Deep Water Well Project in Kenya. ​Our Fellowship activities are inter-generational, and are at the heart of our identity.